Unless your particularly technically savvy or a qualified car mechanic, the chances are the answer to that question will be no. Swimming Pools are one of the most expensive purchases of your life. Yet, while most people would only entrust the service of their car to a qualified mechanic. They attempt to undertake their ongoing swimming pool maintenance themselves. As well as swimming pool construction, we also carry out swimming pool maintenance and repairs. We find that customers who set up professional swimming pool maintenance contracts, have less unexpected repairs. And in turn they have less unexpected bills. But how often should you service you swimming pool. And what are the benefits to getting a professional swimming pool maintenance contract? How often should I get a swimming pool service? Commercial properties will likely have on-site maintenance teams to oversee the running of the swimming pool. And to ensure they are adhering to the strict HSE guidelines on swimming pool cleanliness. But what about if you have a pool in your house? How often are you going to need to clean and service the pool? The less you want to do yourself. The more often it is recommend you have a professional swimming pool service. We have some swimming pool maintenance contracts that we carry out weekly. Weekly contracts reduce the work you need to carry out on your pool. Leaving everything in the capable hands of the professionals. If you are willing to take care of the cleaning side of pool maintenance yourself. Then we would recommend at least you get a service carried out on a bi-annual basis. Alongside a ‘clean’. Our engineers will ensure everything is working as it should and flag any potential issues for future repair. This reduces the chances of unexpected repairs and down time on your pool. So it’s really up to you how often you want a swimming pool service. What does a swimming pool service include? Swimming pool maintenance can be split into two sections. When we carry out a professional pool service we incorporate both. Check filter pressure and backwash the filters to ensure more efficient filtration. Check the Water temperature and check equipment working correctly(we do not fix boilers or Air Handling Units, however we can check they are operating as expected). Ensure all plant room equipment is running optimally eg. inspect pumps + pipework. These tasks are standard. However, any specialist tasks specific to your pool can also be accommodated. 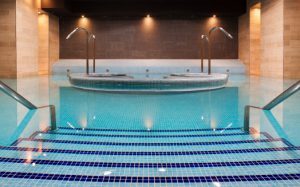 If you have other facilities such as a hot tub, sauna or steam room we can carry out the service on those as part of the same visit. We will also make a note of chemicals required on each visit and bring these along, so you never need to worry about running out of chemicals. How to backwash your pool. A step-by-step guide. Carrying out a check on your swimming pool equipment as well as cleaning means that not only is your water clean and safe. But ensures that any potential problems and identified and flagged prior to breakdown. Choosing the right company to carry out your swimming pool service is crucial. Firstly, you want to make sure they are qualified. While it may be tempting to go for the cheapest service company, you want to make sure the engineers can not only clean and dose the pool. But diagnose any potential faults to save you unavoidable costly repairs. The pool industry doesn’t have one recognised governing body. So it can be difficult to know who to go with. At Eagle Leisure we hire and train qualified tradesmen. And we continually invest in their training through ISPE and other certified bodies to ensure that they are equipped with the knowledge and experience required to maintain your pool perfectly. Secondly, ask around. 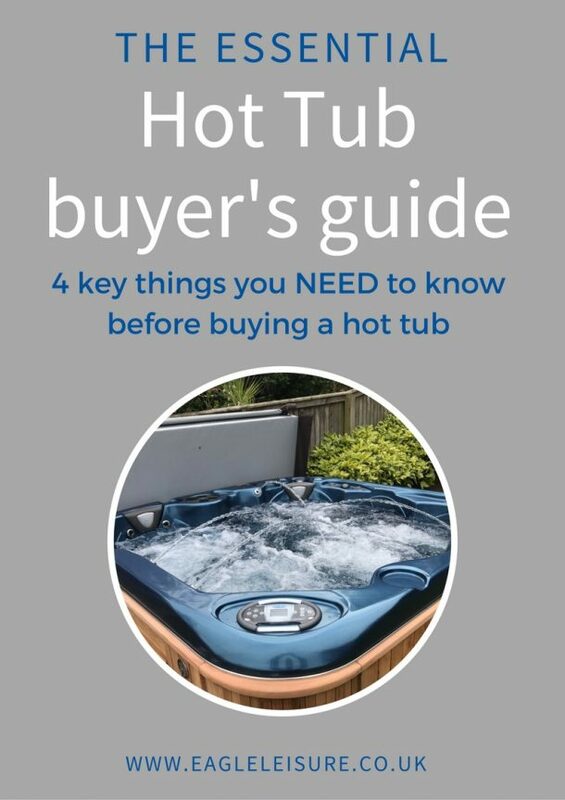 The pool industry is a fairly small place and if you know someone with a pool, they should be able to recommend their provider. Many of our new service contracts come through personal recommendations or through previous working relationships. A testament to our ongoing commitment to quality work. Lastly, check if the pool service provider has more than one engineer available. This will ensure a flexible service. We always try to keep the same engineers on regular maintenance contracts. So they are familiar with the pool. And so you know who is working in your house. But emergencies, holidays and sick days can occasionally interfere and we have a few qualified engineers that can step if the regular engineer is unavailable. Plus more engineers give us a broader range of experience and qualifications if required. 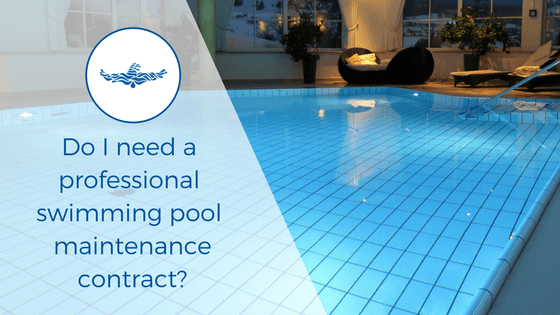 Do you need a regular professional swimming pool maintenance contract? If you are willing to do some of the work yourself then no. You can get away with having someone to come to and check everything is working fine every 6-12 months. But if you want someone to keep on top of cleaning. Plus ensure that all the swimming pool equipment is working perfectly. Then a regular swimming pool maintenance contract might be the way to go. Why not get a professional to do all the hard work. So you can get on with relaxing. Interested in having us maintain your pool? Give us a call or email, along with your postcode and we can get back to you with your call out charge for swimming pool maintenance.